We look forward to meeting you, listening to your goals and needs, and earning your business. Our real estate agents are experienced professionals who will devote the maximum effort to getting your property sold at the best possible price in today’s market. You will be treated with exceptional care and given exemplary service. Our end goal is 100% satisfied clients who will come back again whenever they have a real estate need. We market your property using an effective combination of Internet tools. Your listing will appear on an MLS that includes feeds from the entire local region as well as greater Fort Lauderdale and Palm Beaches MLS. 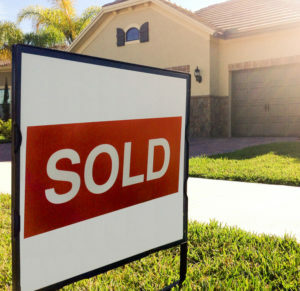 In addition it will appear on popular consumer sites including Zillow, Trulia and Realtor.com. We also employ social media marketing, e-newsletters and flyers, custom print mailings, cross-marketing by our agents, and a strong community network. We are a leader in island sales with expert agents who specialize in waterfront properties. We have a high level of expertise in golf communities and gated communities. We offer a free market analysis–just complete the form below or call us and we’ll arrange to meet with you to determine the current value of your property. McCurdy & Co. Realty is proud to support and be involved in the community where we live and serve. Our convenient office location on the waterfront in beautiful downtown Fort Pierce attracts traffic from people visiting the area and looking to buy. We have successfully sold millions of dollars of real estate here on the Treasure Coast.